I am excitedly sharing some Awesome News. We are all into the wellness lifestyle with exercising and eating right. Well let's take it a step further... sewing your own activewear !! I've created a nice collection of activewear and it has definitely heightened my workout factor. Matter of fact, sewing your own activewear not only rocks, but sporting it as athleisure makes it versatile too. 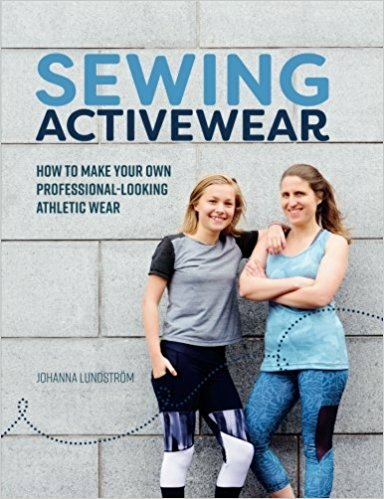 Johanna of The Last Stitch's Sewing Activewear Book has launched!!!! There is a wealth of information to learn from. Even for me. Please walk over.... matter of fact run to her site and check out snippets from her book and then click to order. Yes, click to order, because the content offered will have you thirsty for creating your own fabulous activewear. She has tips and tricks to help you sew your activewear collection. Yes, collection, once you make one... you are going to want another and another. Also, once you get your Sewing Activewear Book, and after feasting on the content, there you will find me.......... sharing a lil about me. It was such an Honor and Shouting out to Johanna... You did an Awesome Job... your book has opened my eyes to so much more activewear possibilities. I watched in amazement as you created all your beautiful active wear this past year. Congratulations on being part of this book!!! Thank you so much. It was an Awesome experience.